Chris Kasten is a commercial trial lawyer with over 25 years of experience in representing large and small commercial clients at the trial and appellate levels. His litigation practice includes commercial and contract matters, non-compete agreements, business disputes, shareholder/corporate disputes, real estate litigation, bankruptcy, creditors’ rights, and complex commercial collection matters, including proceedings supplementary and fraudulent conveyance actions. Mr. Kasten has successfully tried numerous jury trials and non-jury trials in circuit and county courts throughout the state of Florida. Mr. Kasten has successfully filed suit against several foreign governments in the Caribbean and Europe, during his representation of Tampa General Hospital, and has been involved in numerous other international collection matters in the Caribbean, Central America and Europe on behalf of the John Deere Company. Mr. Kasten has served as outside counsel for The John Deere Company. Mr. Kasten’s clients include a number of banks in the Tampa Bay area and he provides representation in special assets matters as well as banking operations under Article 3 and 4, ACH and electronic funds transfer issues. 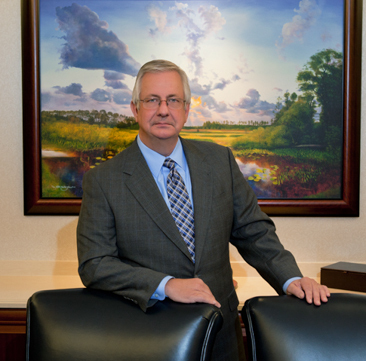 He is a longtime supporter and member of the Florida Banking Association. He also represents many medium and small business clients on general business matters as well as litigation matters. Mr. Kasten has been a Florida Certified Civil Mediator since 2007, and is a member of the Florida Academy of Professional Mediators. He mediates business disputes, including contract warranties, trade secrets, commissions, buy/sell agreements and non-compete agreements. Mr. Kasten was born in Spangler, Pennsylvania and raised as the son of a career naval officer, living in many different places in the United States and Europe. Mr. Kasten served on active duty as an officer in the United States Army Signal Corps from 1979 to 1985 in the Panama Canal Zone and West Germany and with the United States Army Reserves and the Georgia National Guard from 1985 to 1992.